Welcome to Rockwell Printing Inc.
Rockwell Printing is a full-service print shop known for our fine craftsmanship and excellent customer service. We specialize in short and medium runs, single through full color (cmyk) printing, complete letterpress, and bindery. At Rockwell Printing we have that rare combination of the old world ethic of taking pride in one’s work and harnessing all the advantages made possibleby today’s technology. We use top-quality Heidelberg Offset Presses and high-end Digital Presses by Xerox. Drawing on near 40 years experience, our priority is to delight our clients. We invite you to our immaculate shop to see firsthand our attention to detail, inspect our state-of-the-art equipment, and experience our personalized service. In fact, so personal is our service that the person you talk to about your print job is most likely the same person who will be working on it. Along with confidence in a job well done, you will love our excellent presswork and reasonable prices. Guaranteed! 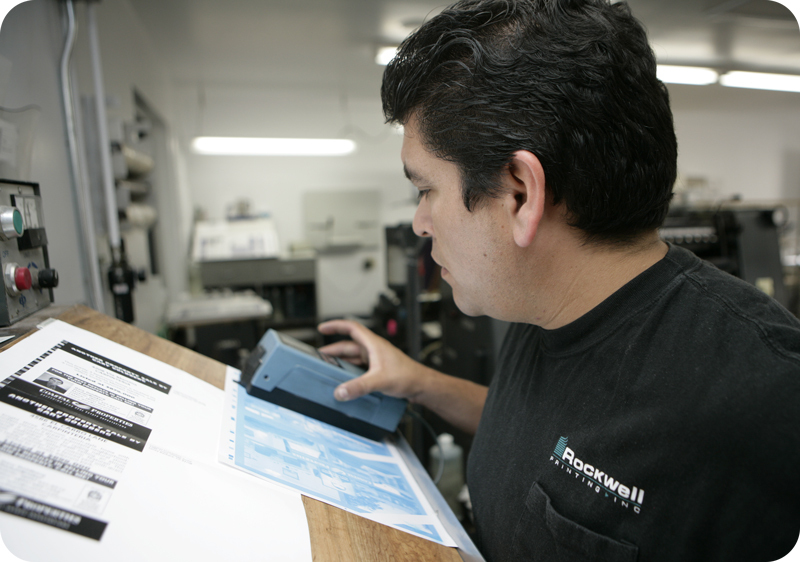 Check out the full range of services and products available at Rockwell Printing.